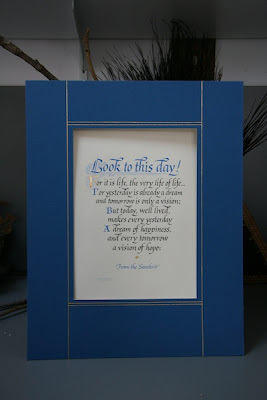 I was thinking about Ed Karr today who was a calligrapher in Boston for many years. Maybe Brian McGrory's piece on Mayor Kevin White and the "New Boston" he created made me think of Ed who was very much a part of old Boston as well as new. 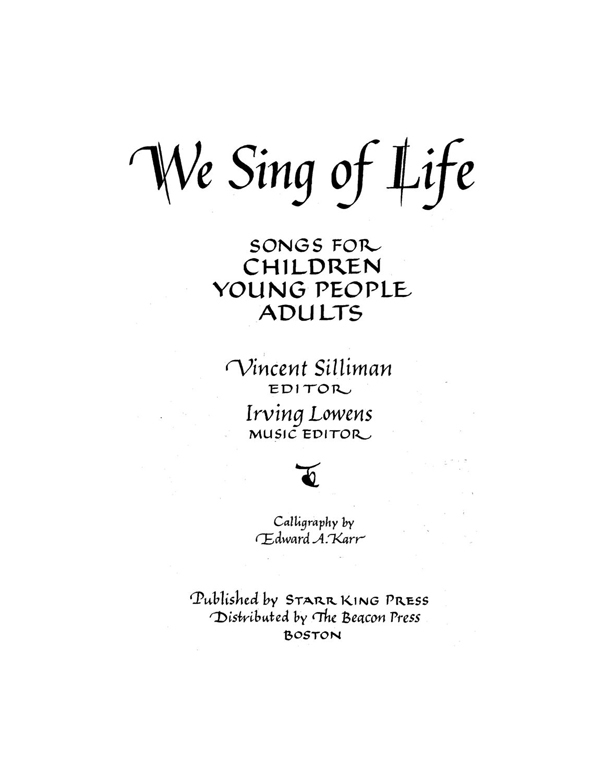 Visiting Ed in his studio on Boylston Street and hearing his stories and seeing his work was always an inspiration. I often think of his response when people asked him how long something took—my whole life up until now. Today I took a close look at this piece of original calligraphy by Ed. 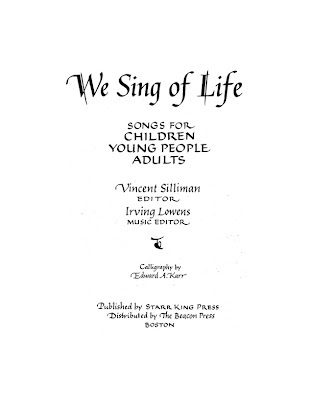 There isn't much online about him but I did find this—We Sing of Life hand-lettered from front to back by Ed and published in 1955 and available online with permission from The American Ethical Union.